Please Note: Our hotel is undergoing some renovations. Currently, the Meeting Rooms are closed. Conveniently located off Interstate 520, this Wingate by Wyndham Augusta/Fort Gordon is near the Masters Golf Tournament, Ft. Gordon Military Installation, Bush Field Airport and many local restaurants. Ideal for both work and play, this smoke-free lodging offers complimentary breakfast, complimentary internet, fitness center, dry cleaning service, meeting rooms, and 24-hour business center. There is no charge for children under 17 when staying with an adult. Guest room amenities include microwave, refrigerator, safe and newspaper. 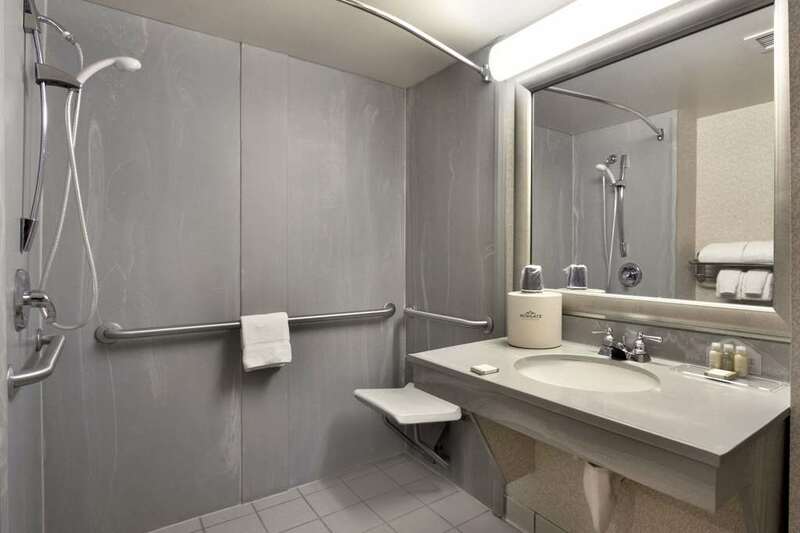 Suites and handicapped-accessible rooms are also available.